Changing Corporate Culture: From "Entrenched Male" to "Gender Neutral"
ManPower advises clients on hiring decisions and talent development. Recognizing that the progress in "gender parity" has been too slow, they commissioned qualitative research. 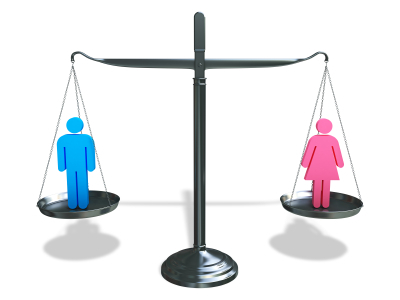 Their definition of "gender parity" is that "women and men have equal opportunity to senior leadership roles." To test the theories, including that the Millennial generation will solve this issue, they interviewed 222 global leaders including 72 from their own company. They found generational differences in beliefs about how long it will take until there is "gender parity." The average was 17 years. Male leaders in the Baby Boomer and GenX generations were most optimistic. Since this group holds 95% of CEO roles in the Fortune 500, the report suggests, many seem to mistakenly think the "job is done and the gap is closed." Millennial women believe it will take 22 years but that their generation will be the ones to achieve parity. Hooray! Does the study show them how? Manpower suggests it will take cultural change. Over half of leaders interviewed believe the most powerful step is to "create a gender neutral culture." What a great phrase! I glean from the quotes from the interviews that this is a culture where men and women compete on a level playing field and share power. It is a culture that has overcome "unconscious bias, stereotyping and an entrenched male leadership culture." It is a culture where women have role models, non-gendered career paths and access to influential networks. It is a culture where women don't have to "behave like a man to get to the top," and then, once there, feel "unsure of the behaviors expected." Identifying the obstacles to reaching a goal is important. It shows what we must do to reach the goal. But the "how" question remains. How do we eliminate unconscious bias and stereotyping? How do we create gender neutral definitions of leadership? And how do we replace "entrenched male culture" with "gender neutral culture"? The starting point, I believe, is suggested in the term "conscious inclusion" in the report's title. To reach gender inclusion takes a critical mass of people who are conscious of our biases and our images of leadership and mindful of being inclusive in thought and action.